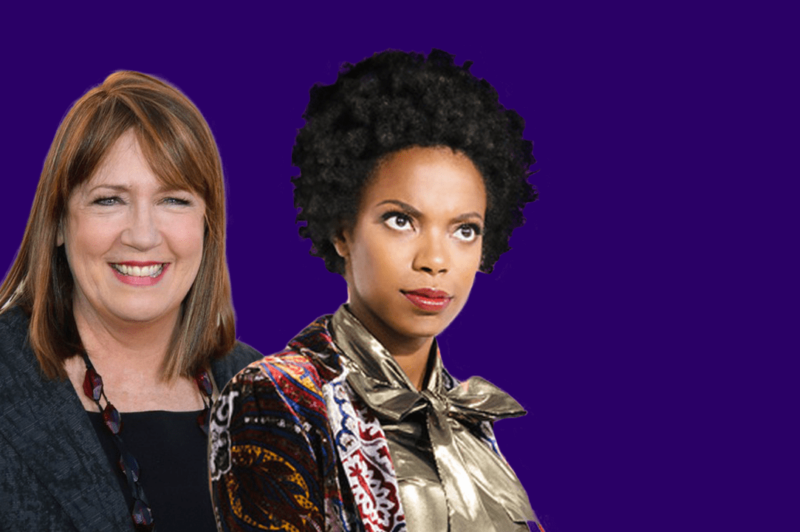 Put your hands together for Michelle Buteau, and her special guests, Ann Dowd and Sasheer Zamata! The comedian and unofficial “3rd Dope Queen” has a new podcast from WNYC Studios — and you can see it taped live every Tuesday night through June 26. You probably know Ann Dowd from her Emmy Award-winning role as “Aunt Lydia” on Hulu’s The Handmaid’s Tale. Her other credits include HBO’s The Leftovers (Emmy-nomination for her role as Patti Levin), Captain Fantastic, Collateral Beauty, and Compliance, for which she was named Best Supporting Actress of the Year by the National Board of Review. Sasheer Zamata, best know as a four season cast member of Saturday Night Live, is a comedian, actress and writer who Time Out New York calls one of the “Top 10 Funniest Women in NYC”. She’ll be hanging out on Michelle’s couch to discuss her newly released one-hour special, “Pizza Mind”.